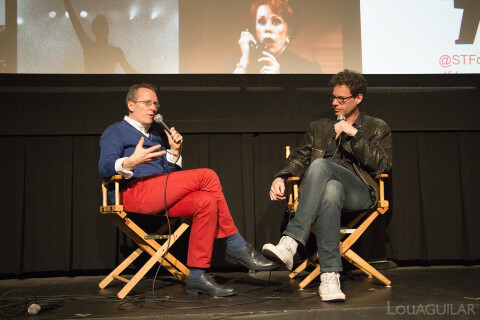 The mood at Stranger than Fiction last Tuesday night felt less like a movie theater and more like a concert hall where people struggled to stay still and burst into applause after the rousing performances and rare live footage that exploded from the big screen. In the third installment of STF’s tribute to legendary filmmaker D A Pennebaker and his groundbreaking team, viewers had the incredible opportunity to see two seminal musicians in a display of raw power and pure emotion. In SHAKE: OTIS AT MONTEREY, Pennebaker brings Otis Redding’s full 1967 Monterey Pop Festival performance to the forefront. 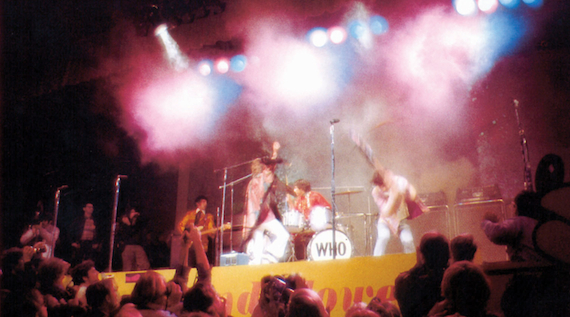 Redding’s performance was cut to two songs in the original version of MONTEREY POP, but the full four song set at Monterey exposed an almost completely unprepared audience to a 25-year-old powerhouse of early R&B. In a shimmering, emerald green suit and backed by all-star bands Booker T. and the MG’s and The Mar-keys on horns, Redding was electric, pulsating on stage with unbridled joy and pure Memphis soul that enraptured the California crowd, ‘the love crowd,’ as Redding fondly addressed them, who responded with booming, gleeful cheers. 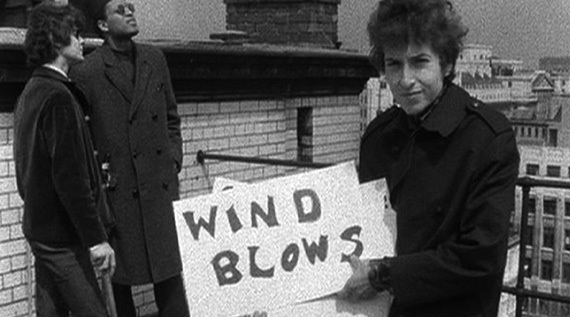 On the flip side of Pennebaker’s psychedelic-era-epic, STF viewers were treated to outtakes from his starkly revealing and fascinating black and white motion-picture-portrait of Bob Dylan. 65 REVISITED pulls together footage from DONT LOOK BACK, a film that, much like MONTEREY POP, completely revolutionized the concert film/music documentary genre. Dylan, already a near-mythic figure by 1965, was on tour in the UK, being followed and fawned over by everyone he encountered, coyly dodging questions and toying with expectations until the moment he walked on stage. Through Pennebaker’s lens, Dylan is like a monolith, completely alone, basked in a glaring white spotlight in the center of a massive stadium. Those performances, in front of thousands of people in concert halls across England, are jaw droopingly intense, but his back stage practice riffs and hotel room jam sessions are equally endearing in their accessibility. For all the fanfare and behind the deafening applause, Bob Dylan is actually just like every other musician. He fiddles with chord progressions and sometimes forgets lyrics. He casually tires out new songs on dusty old pianos, and occasionally stumbles on something brilliant, and Pennebaker catches it all. For all the trouble Pennebaker may have caused in making these exceptional films, his influence is still broad and far reaching in the documentary world, largely due to the success of MONTEREY POP and DONT LOOK BACK, which makes these perhaps unfairly named ‘outtakes,’ so special to see. They are the raw material behind the big picture, and a rare insight into two towering figures in music history that Pennebaker and his team captured at key moments in their careers, and that we’re lucky enough to see through his lens. Stranger Than Fiction’s twenty-fifth season features an eight-week tribute to the careers of D A Pennebaker and Chris Hegedus. In the week’s following, STF will show COMPANY: ORIGINAL CAST ALBUM (1970) featuring the late Elaine Stritch wrestling with Stephen Sondheim’s musical Company; DEPECHE MODE 101 (1989) following the pioneer synth/pop band across America as they end up selling out the Rose Bowl; MOON OVER BROADWAY (1998) a look behind the scenes at Carol Burnett’s return to Broadway; THE WAR ROOM (1993) on Bill Clinton’s presidential campaign, featuring George Stephanopoulos and James Carville; and ONLY THE STRONG SURVIVE(2002) a celebration of soul-music legends Sam Moore, Wilson Pickett, Isaac Hayes and others.